This is part one of a two-part blog series by Echo360 Solutions Engineer, Dr John Couperthwaite. In this article, he offers up a recap of the BETT 2017 conference held this past January in London, England. When you teach in class, how do you know who is confused, who is bored, who hasn’t even bothered to attend, and perhaps more importantly, who has learnt anything? Sure, the exam results or course assignment will reveal this some months later, but valuable time for proactive intervention and motivating learners to complete the course and achieve good grades is lost. Compelling evidence from academic research trials examining classroom-based active learning in higher education courses reveals significant improvements in overall student engagement, learning gain, retention and exam grades. For example, modelling in-class participation data has shown struggling students can be identified with significant accuracy within two weeks of starting a course. Why is this important? Class-based teaching is a major component of teaching delivery in higher education institutions. Furthermore, as much of University teaching sessions occur in class sizes ranging from 30 to 500, led by teaching staff who don’t know every individual student, who don’t teach on all classes in a course, and who are likely to have other research priorities, students paying high fees have become increasingly anonymised and alienated from teaching staff. Teachers therefore need tools to improve the real-time engagement of all their students, to monitor their progress and to intervene when necessary. As we read more reports of education fees reaching record highs and graduate prospects declining, time in education is too precious to waste. Rather than assess more, why not use the time in class more effectively? Arriving at BETT 2017 this year, I was seeking to understand how others are addressing this problem. I wanted to discover what sector-wide initiatives were focusing on teaching, how learning analytics could inform real-time decision making by teaching staff, how video was extending the classroom to part-time and distance learners, and what the impact of increasing engagement in class had on GenerationZ students’ motivation to learn. 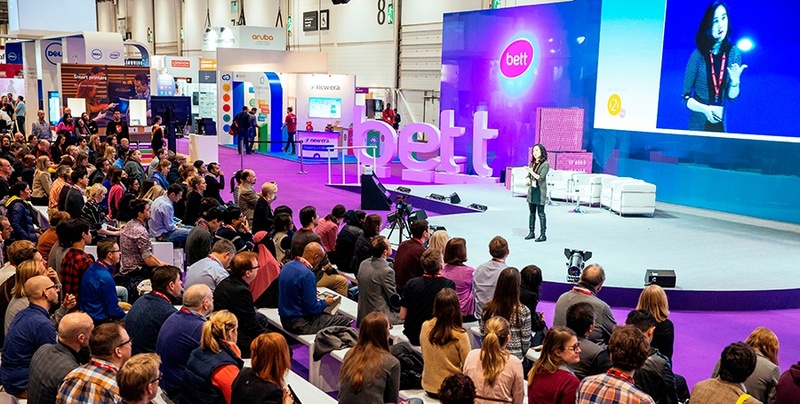 BETT 2017, formerly the British Education Training and Teaching conference, is now an internationally focused, part-trade show, part-conference, aimed at all levels of education from nursery schools to corporate training. It is a now an annual event, located on the banks of the Thames at Excel London. In addition to being curious participants, the Echo360 EMEA Team were there to host a networking lunch, support a presentation by Daniel Courtney from the University of Sheffield, and I would be giving a talk on ‘reinventing the lecture’. 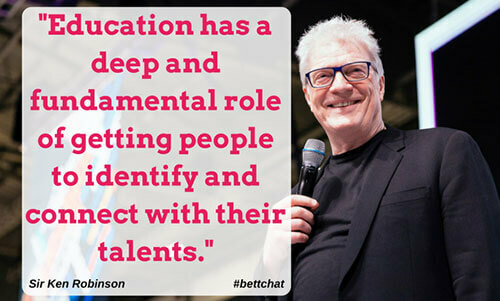 In his keynote, Sir Ken Robinson, championed the reimagining of schools and recommended a shift away from factory-styled mass education to student-centred learning, commenting that “...our dominant systems of education are not suited to the development of talents that we now need in our everyday lives”. This contradicts much ‘progress' towards standardisation in assessment, subject-centred learning, and teaching methods, because he believes that the narrow focus on ability limits perspectives on the creative, analytical and inter-personal talents of many other learners. Such assessment-driven approaches limit the freedom for teachers to teach and students to be creative and learn for themselves. As Universities seek to reengage with their learners and produce more employable graduates, John Gill, editor of Times Higher Education, pointed to the progress made at the University of Coventry, UK. Here, they have introduced the option of an overseas placement for all students, onsite vocational training and apprenticeships, and have greater student representation at all levels. This approach has contributed towards a 50% increase in student numbers in the four years since the capping of University numbers was removed in the UK; other Universities are facing a 30% reduction in numbers, impacting greatly on teaching budgets and course availability. Of course, the challenge of designing effective student-centred teaching is that the learners themselves are changing. The GenerationZ, or post-Millennial, learner (born 1990 to early 2000’s) was shown to value video-based learning more than previous generations, are comfortable socialising and sharing online, and prefer authentic messaging from peers than brand. In the classroom, these students are demanding more interactive tools, self-paced video content, delivered through mobile devices. When designing for the learner, the emerging expectation is for greater connectivity with content and friends, seamlessly personalised access, with media and conversation at the heart of the learning. The university lecture has been the heartbeat of higher education teaching for centuries and, in the capable hands of an experienced educator, it has the capacity to inspire, to entertain and illuminate any subject. Several perspectives emerged at the conference on how this much-valued teaching format can be reinvented to meet the changing needs and expectations of future learners. Capturing teaching moments: the impact of an institutional opt out policy towards lecture recordings was demonstrated to have had a transformative impact on teaching delivery at the University of Sheffield by Dan Courtney. 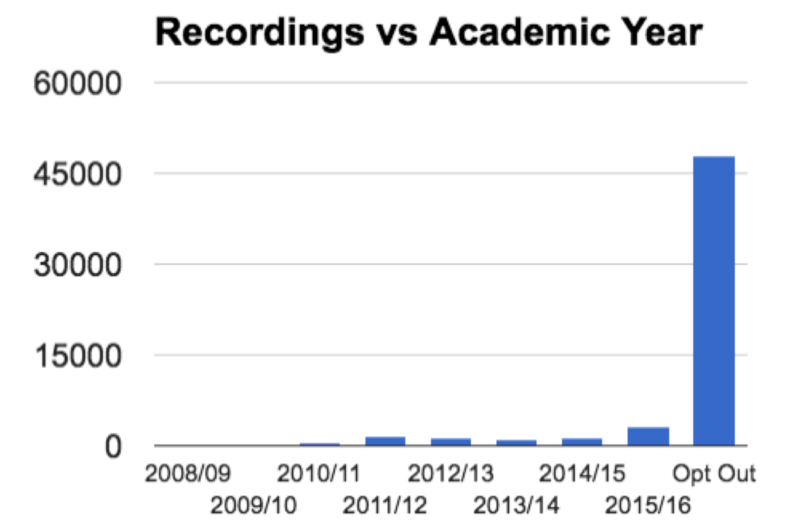 Following six years of steady use (2000-3000 recordings pa.), the University chose to implement an opt out policy after moving to the Echo360 active learning platform. Whilst this led to an impressive 15x increase in the number of institutional recordings, the flexible nature of the cloud-based system could meet varying demand and resulted in no extra infrastructure costs for the University. Analysing learner interactions: the potential for big data to reveal previously invisible patterns of learning (behaviours, attitudes, progress levels, etc.) was a hot topic at the conference. Phil Richard, Chief Information Officer, JISC spoke about a project in the UK by JISC to create a national framework to collect analytics data from institutions and systems, to offer benchmarking services, and to develop services for organisations as management data, and for students as progress metrics in a native app. Over 100 Universities are already engaged in the project and they are seeking to collaborate with all suppliers. Broader research in learning analytics was highlighted by Rebecca Ferguson of The Open University, such as SOLAR and LAEP international research groups, and the ROMA framework. Phil likened the data analytics project with the Iceland Genomics research: what if the data is like the DNA fragments, and using other datasets, deeper insights into engagement and blended learning across and between institutions, subjects, years and students. Evaluating teaching effectiveness: the benefit of analytics on the teaching process was highlighted from a study by Bart Rientes of The Open University. This research used analytics to evaluate teaching patterns across many the OU’s programmes. Midway through the programmes, Bart and his Team showed the analytics to the course lead and reviewed possible modifications in teaching delivery with them. These resulted in dramatic changes in both teaching analytics (balance of content, discussion, quizzes, etc.) and student-focused indicators of engagement. Improving conditions for learning: little is known about the impact of environmental conditions on learning, however, Stephen Heppell has been investigating how spatial and temporal variations in light levels, temperature, and C02 in a teaching space can result in changing attention, the capacity for learning and mental agility. Using a device, he has designed in collaboration with JISC, he can capture these variations within classroom settings, offering valuable data for teachers and teaching space managers. Can we learn from these experiences, and from others to make our teaching more effective? Subscribe to our blog and you'll be automatically notified about my next article: 5 ways to make lectures more interactive and engaging.